The 568000 series of isolated “Two Wire” transmitters are designed for the general-purpose instrumentation market. 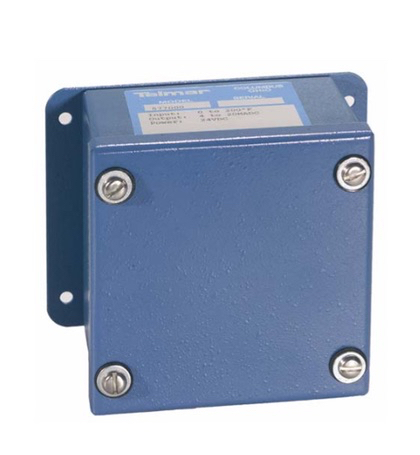 These transmitters provide a 4-20 or 10-50 MADC output and can be operated on 10 to 32 VDC. The transmitters feature 1500 Volt isolation, 0.2% accuracy and current limiting. J.I.C. enclosures of 16 ga. steel are standard for all models; explosion proof housings are optional. The 568 Series is a very rugged family of instrumentation transmitters for use in hostile environments. All models are available with optional NEMA 7/9 enclosure and 10-50mA output. 569000 A.C. Current (Amps RMS): 0 to 5.